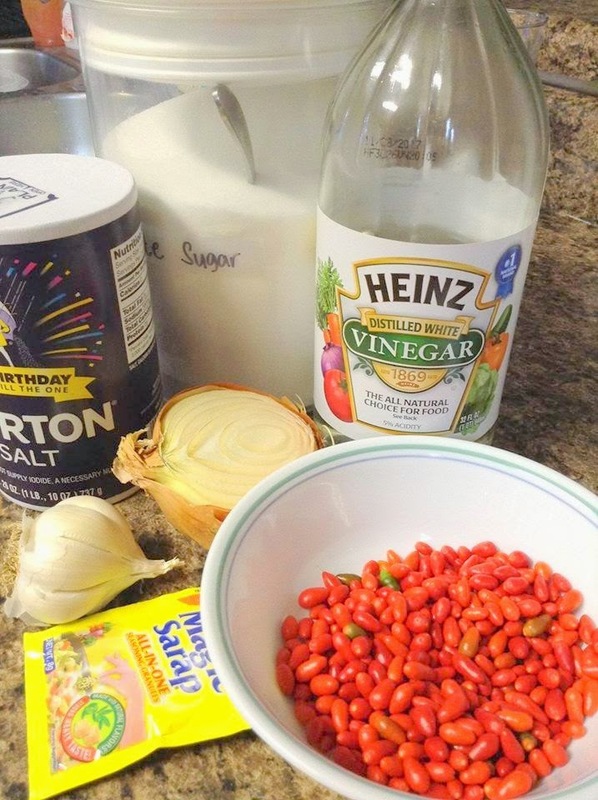 How are you familiar with bird's eye chili? They are commonly found in Southeast Asia. Hey, I have a healthy one growing in my front door! Bird's eye chili can also be found in India, in Meghalaya and Kerala; it is used in traditional dishes of the Kerala cuisine. 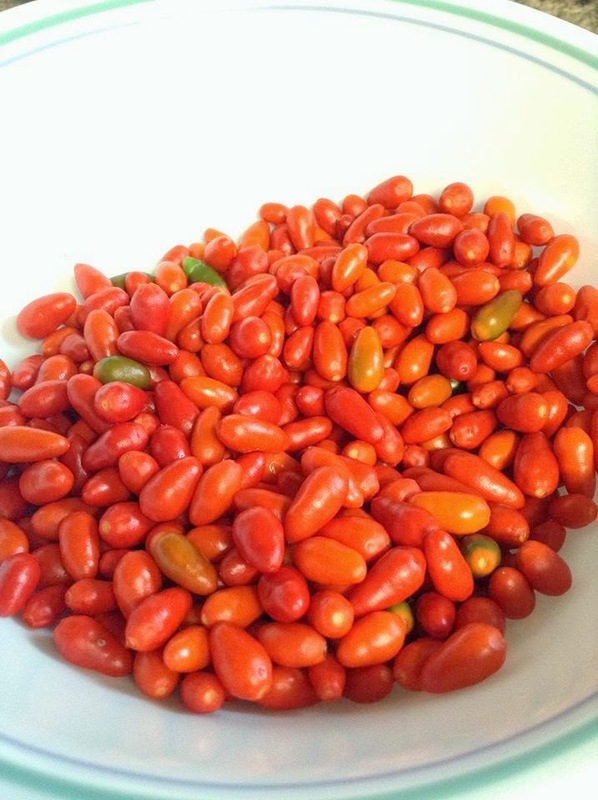 It is also a main ingredient in kochchi sambal, a salad made using freshly scraped coconut ground with bird's eye chilis and seasoned with salt and lime juice. 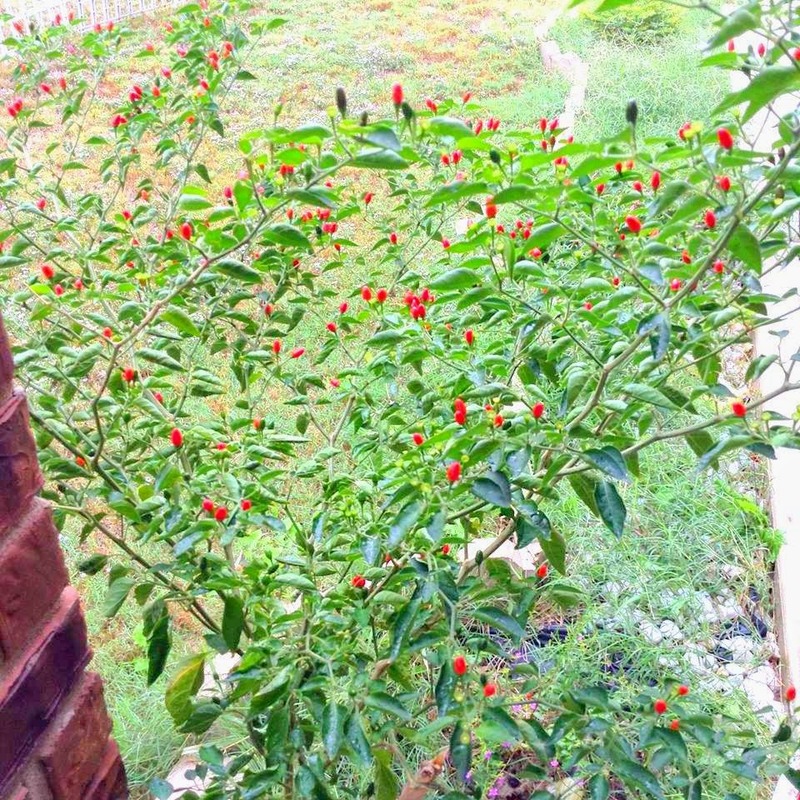 In the Philippines where I grew up, we call this plant "siling labuyo", and many people use this as a main ingredient for making spiced vinegar or suka. 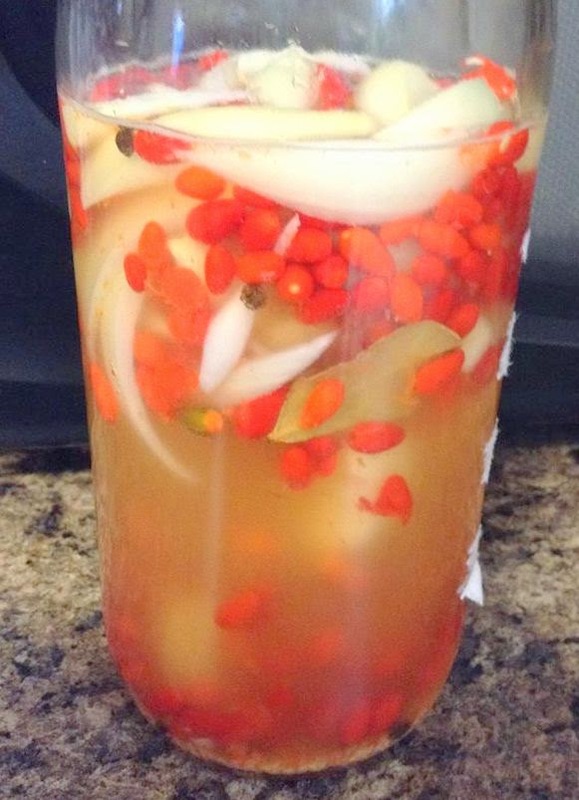 Since I have a bunch of ripe bird's eye chili, I've decided to make my own version of sweet and spiced vinegar. I used a whole bottle of Heinz vinegar, added 1 tbsp of sugar, 2 tsp of salt, onions, garlic, peppercorns, and a dash of magic sarap. Shake shake shake until the sugar and salt dissolved. Surprisingly, it tastes really good!